There is no dearth of Indian Restaurants in Pune. But the newly opened ‘Tvum’ is something special as it has one of the best line ups of specially curated dishes from various parts of India. Situated at a relatively quiet locality in Kalyani Nagar opposite Joggers Park, this is easily the best restaurant launch of the year so far. Some of us judge eateries on their food, while many of us also want a good ambience. This has the best of both. 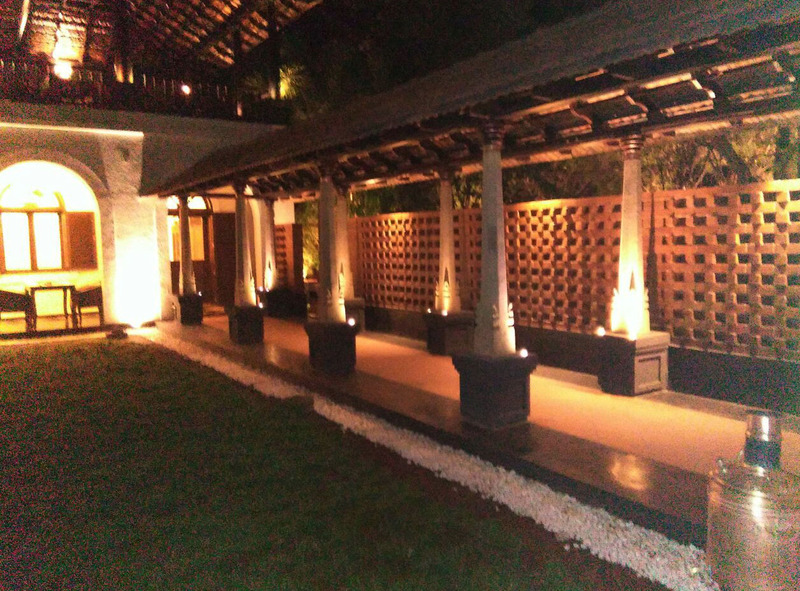 Right from a spacious entrance, to a foyer or a walk way with pillars resembling to those of the old wadas to the heavy wooden furniture at the restaurant, the ambience catches your attention. It is gracious and traditional. The Menu is something special and to look out for. It seems the management has spent a lot of time on creating the menu and one can easily judge it by going through their menu card. It is rather a booklet than a card. 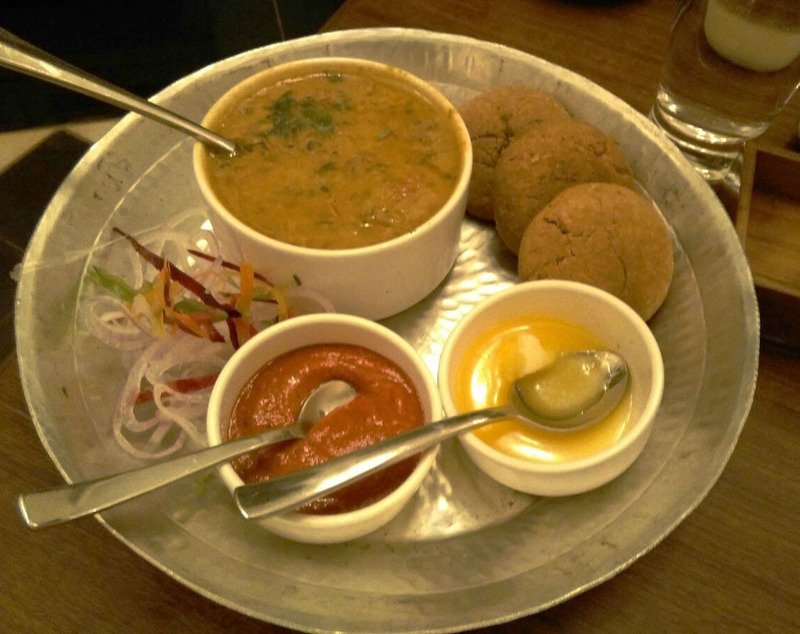 The starters especially the vegetarian have some interesting items like Surnache Kaap , Amla Beetroot Tikki , Hare Chane Ke Seekh , Kesar Paneer Tulsi Tikka , Chettinadu Potato Roast , Keerai Wada with White Butter and Nellore Mushroom Fry. Amla Beetroot Tikki is highly recommended which is a crispy dish of beetroot paired with grated Amla and served with mint chutney and raw onion rings. Those who hate Suran (Yam) especially in Maharashtra, you must try Surnache Kaap although the staff here might not highly recommend this item. It might just change the way you look at this vegetable. The main course vegetarian dishes and dals are equally fabulous with Mosoden ( Tripura) , Galho ( Nagamese Vegetable stew) , Chainsoo ( Uttarakhand ) , Tomato Pappu ( Andhra) , Mangodi ke pakode and dudhi ki sabzi, dal baati , Paneer Methi , Sindhi Bharwan Karela , Lauki Ka Kofta aur Palak ki Tari , Pahadi Khapli but our recommendation would be Ambat Goad Amti and Kathiyawadi Shaak . The Rice dishes Masale Bhat , Curd Rice , Bisi Bele Hulli Anna , Shahajeera Tadka Chawal would require a separate visit and would be worth it . The breads include traditional Roti , Bhakari , Chapati , Appam , Neer Dosa , Multi Grain Wada, Saffron Sheermal , Makhni Paratha , Khameeri Roti. The Non Vegetarian lineup is equally delicious and Karavalli Crab Curry , Bater Musallam , Laal Maas, Nalli Nihari , Nadan Chicken Curry , Chicken Sagoti , Gaon Prawn Curry , Vallaiyapati Fish Curry etc . Parinde mein Parinda , Raan and Desi Mutton Chops are something special. 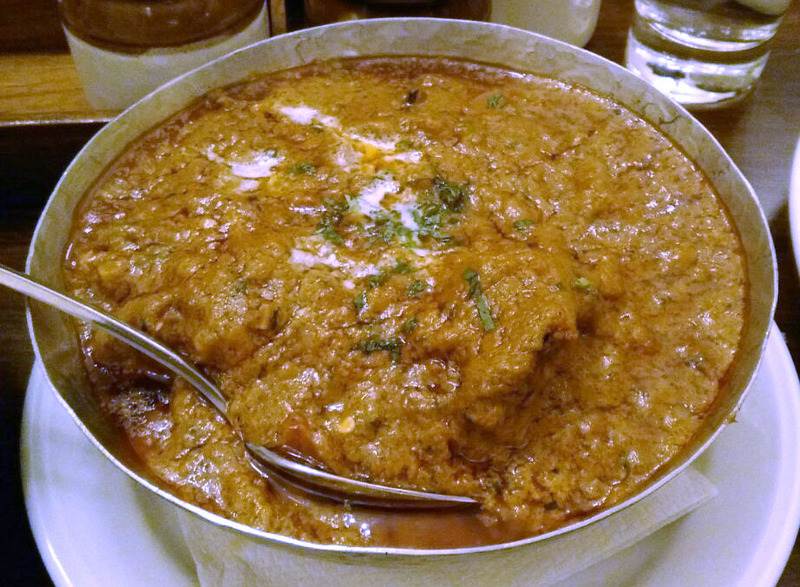 The Safed Makkhan Kukkad which is a variant of Butter Chicken is highly recommended if you ask them to make it spicy. Surmai Biryani , Chicken Dum Biryani Yakhni Pulao, Kolambi Bhaat and Mapilla Mutton Biryani make up for Rice Dishes . Gulkand Pista Gulab Jamun, Dry Fruit Barfi, Payasam, Jaelbi Rabdi, Bengali Sweet Platter and Kulfi are all good if you have any space left in your stomach after eating such a sumptuous meal. Tvum has understood the Indian Palette perfectly. 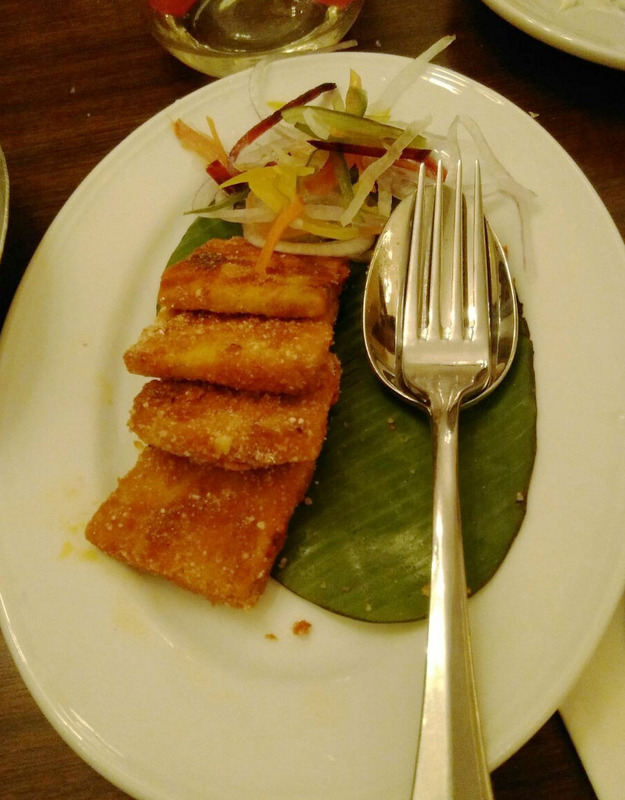 Chutneys, Pickles and Papad are more than just accompaniments for Indians and this restaurant has the best spread of these. The restaurant is also open between meal teams from 4 pm to 7 pm serving snacks like Pav Bhaji, Wada Pav and many other dishes. Tvum means ‘for you’. And with the gracious way of celebrating Indian Traditional Food here this one is definitely for you!